Nursing Schools - How to Become a Registered Nurse (RN)? Nursing is one of the most opted course in all the states of India in present day conditions. Even according to the career bases and even based on income many opt for this course. There are many colleges which provide this course but under the main hub that is the national council. Students to become registered nursing students need to be certified. And on failing to have certification cannot have a further career. To become a registered, nurse the candidate needs to have any of these- a Bachelor of Science degree in nursing (BSN), an associate’s degree in nursing (ADN), or a diploma from an approved nursing program. Registered nurses also must be licensed. In all nursing education programs, the candidate must deal with subjects like physical and social sciences, communication, leadership, and critical thinking. The program also offers a practical non-clinical experience which is helpful. The bachelor degree or any other higher position is needed for different positions like teaching, research, and counseling. Many nurses who do not have a bachelor degree which means the person with a diploma or ADN do go back and continue their studies to have their bachelor’s degree. There are some programs which employ people who hold bachelor’s degree in any other field. Tuitions are also offered. Clinical nurse specialists (CNSs) must earn a master’s degree in nursing and typically already have 1 or more years of work experience as an RN or in a related field. CNSs who conduct research typically need a doctoral degree. Students who opt for nursing course generally take courses in anatomy, physiology, microbiology, chemistry, nutrition, psychology, and other social and behavioral sciences, as well as in liberal arts. ADN and diploma programs usually take 2 to 3 years to complete and BSN programs typically take 4 years to complete. All programs provide supervised clinical education. Click on the states below to view the list of nursing schools information. The District of Columbia and U.S. territories has instructed all the states that registered nurses must have a nursing license. Nurses must graduate from an approved nursing program and pass the National Council Licensure Examination (NCLEX-RN) to become registered nurses. The states have different requirements for licensing. Each state’s board of nursing can give details. You can visit the National Council of State Boards of Nursing for more information on the NCLEX-RN and a list of state boards of nursing. 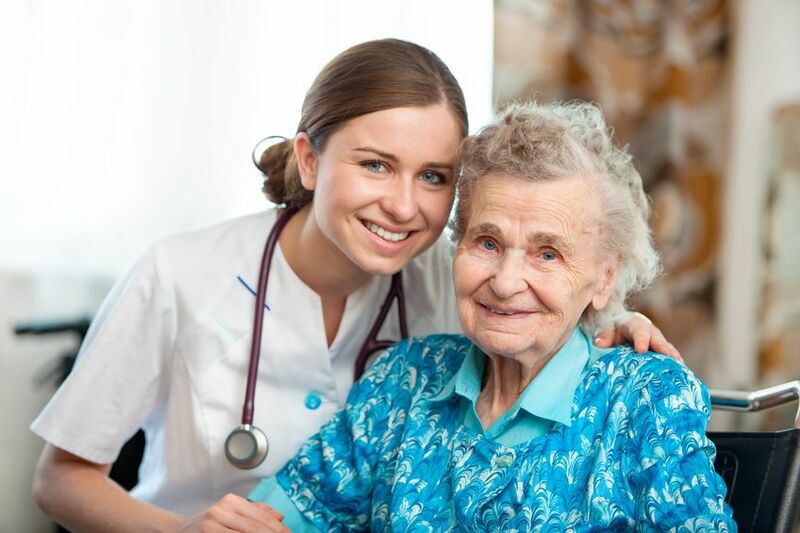 Nurses may become certified through professional associations in specific areas, such as ambulatory care, gerontology, and pediatrics, among others. The bachelor’s degree demonstrates the higher standards of the nurse, and some employers require it. A Registered Nurse is likely to earn good amount of money, which makes this profession not just the one with the passion but also a profession to live on. According to US Bureaucratic Labor Statistics, the average annual income for a Registered Nurse has been recorded as $69,790 in May 2014 that was in the range between $54,620 and $81,080 this is was the salary for more than half of the RN (Registered Nurse) community, but there were other 10% RNs who earned below $45,880. And this salary will be the initial one when you advance in your career and also add up few more Educational qualifications, you are expected to earn about $98,880. After you become a Registered Nurse, your primary duty will be caring. Meaning, you will have to take care of patients and their medication. Although, that is the primary duty, there are plenty of others tasks you will have to accomplish based on your education and specialization. A Registered Nurse will be responsible for assisting his/her doctor to treat various patient population. And they have to work in different work areas as Hospitals, Rehabilitation centers, Nursing homes and private agencies and hospitals. And senior level RNs are responsible for doing preliminary diagnosis on the patient and submit the patient’s diagnostic, his recovery progress and changes made in a report to their Physicians for them to act accordingly. When it comes to the requirements, a Registered Nurse needs to pass the NCLEX-RN examination, should have profound knowledge on keeping people healthy and well. Coming back to requirements a Registered Nurse should have an associate’s degree in Nursing or a diploma course from an accredited program and University. Apart from being educated, a Registered nurse should always have critical thinking skills. When the Nurse faces emergency situations, she has to act quick, quick as in a Snap, she should know the work that has to be done on the patient to keep them alive/safe. They should have sheer determination and passion towards their job. Communication skills also play a vital role, they should be able to communicate the work need to be done on a patient to all the other staff members. They should be accurate, a small mistake here or there would cost a life. Meaning, when a patient’s medicine is decreased by a decimal point, because of your mistake of not noticing/keeping an eye on details, may lead to different consequences. So, Attention to detail is another requirement of a Registered Nurse. Overall, to become a Registered Nurse follow this article right from the beginning, from educational qualifications to the important features one must have to reach their goal.